The Osteria restaurant welcomes its visitors with an atmosphere that is simple and elegant at the same time, as if at home, or in a Castle. This is our spirit: here you’ll encounter our territory in its dishes and in the glass. The charming landscape is itself an inspiration, and the nearby kitchen garden is a great stimulus for our chef, as he transforms and interprets the seasons and scents of classic Chianti. 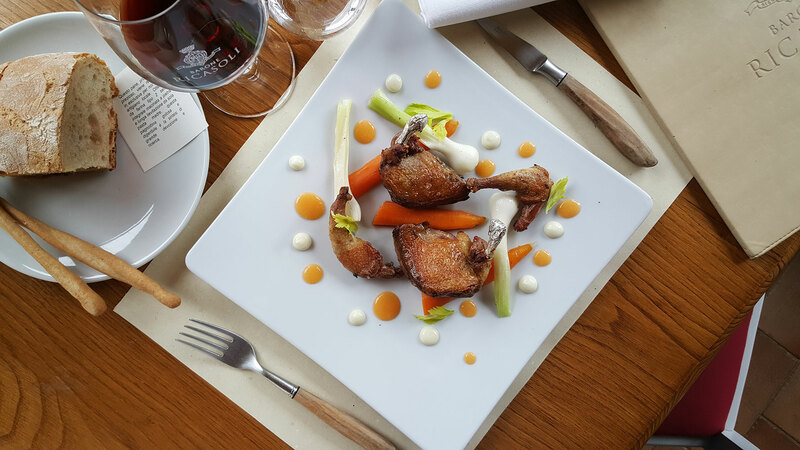 Traditional dishes can be found alongside innovative ones, both made exclusively with Tuscan products. The best olive oils, the tastiest meats, the fish from the nearby Mediterranean are all enriched at the table by careful pairing with wine. And often with delight. 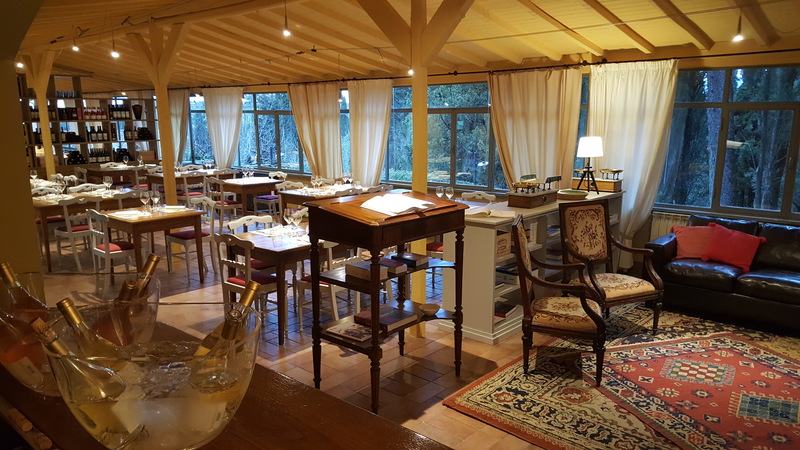 Here you can find the current menu of the Osteria di Brolio restaurant. Our menu reflects the spirit of the season and we use ingredients of the highest quality. The result is a very balanced cuisine with a light touch of well-placed creativity. Contrasts in flavors are gracefully highlighted, with great respect for the tradition. 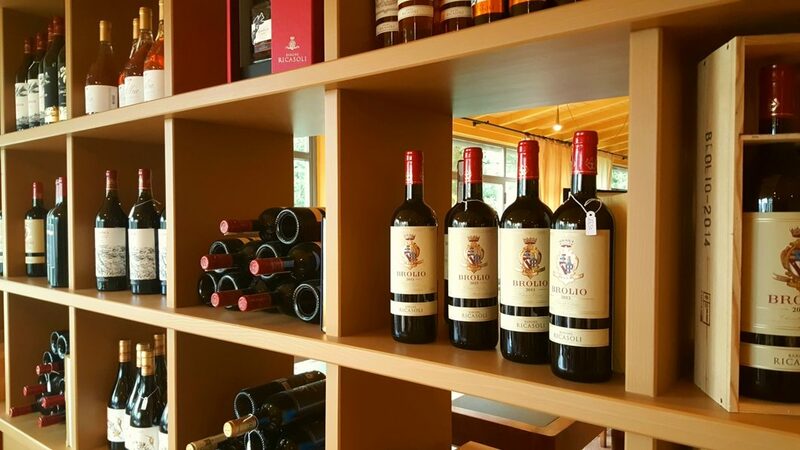 The wine list represents the panorama of our Ricasoli 1141 production: not only vintage wines, but also notable harvests and larger sizes are available to our clients. On Friday and Saturday open for lunch and dinner. From Sunday to Wednesday for lunch only.